Hennopspark situated within close proximity to Centurion is set for a major industrial and commercial face-lift in the form of the exciting new Rockfields Precinct mixed-use development - set for completion in 2020. This is according to Arnold Pretorius, Commercial and Industrial Property Broker and Director of the highly regarded industrial property brokerage API Property Group. Hennopspark and Centurion are set to take the province and country to its next era in terms of industry. This initiative proves that this region of South Africa is at the forefront of innovation in terms of commercial and industrial parks or precincts. 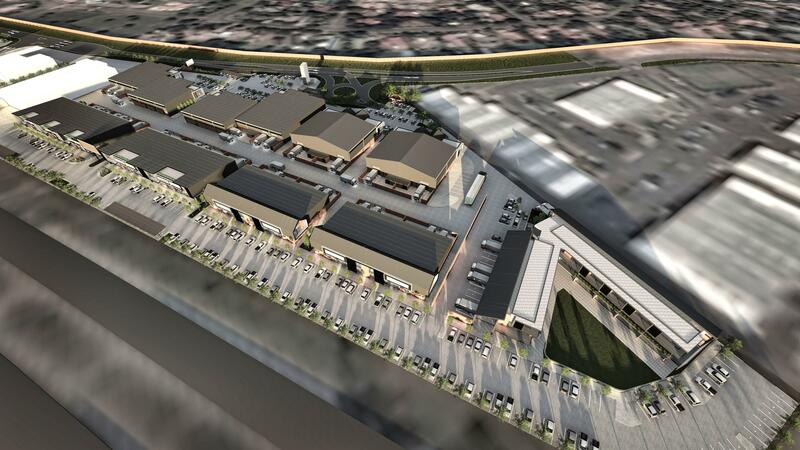 "The Rockfields Precinct is a safe and secure development which consists of Versatile Hybrid Units that can accommodate various internal layouts, where destination retailers, showrooms, retail warehouses & wholesale businesses can thrive. The development will be different from traditional industrial, commercial and retail environments where a unit's features can be adapted to suit different business' needs. The Hub, which forms part of the Precinct, can facilitate an incubation centre for entrepreneurs where businesses inside Rockfields Precinct can make use of boardrooms, training and conference facilities without having to rent the space permanently". - says Pretorius. Additionally, this exciting new precinct will also pay homage to the outdoors. The area will include well-kept gardens and park areas so tenants and customers, can enjoy being outside. 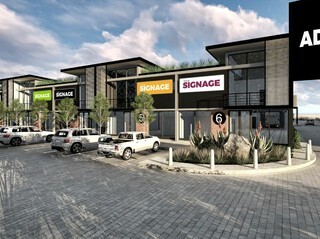 Pretorius explains how this aspect is unique to industrial parks and is what sets the location apart from other mixed-use developments of a similar nature. API Property Group's involvement in this exciting project is to assist Ignobilis (the development agency) with additional marketing to ensure that the regarded property developers meet their respective targets in terms of finding suitable tenants. The Hennopspark and Centurion suburbs respectively have become one of the densest industrial nodes in the whole of the Gauteng region. The leading brand currently has roughly 128 listed properties available for rent in the location which all range in price and size to suit anyone's budget or industrial needs. A lot of Ignobilis's mandate focuses around facilitating and conceptualizing the implementation of business villages where there is a massive focus on community. The brand also has one of the most extensive rosters of brokers in South Africa when it comes to industrial property. "We have a team of 80 brokers in South Africa where a strong in-company referral culture has allowed us to interact intimately with property owners as well as various business owners in South Africa. Our hands-on approach to deal-making ensures that property owners and business owners deal with a trusted brand". -says Pretorius. Hennopspark situated in Centurion could become one of Gauteng province's most extensive and well located commercial and industrial expanses. It already has so many great attributes and with The Rockfileds precinct on its way, the location is brimming with credible entrepreneurs, artisans and factory owners. Be a part of this extraordinary new precinct with one of South Africa's leading industrial property brokerage API Property Group. Pick up the phone now and get in contact with one of their highly regarded brokers or property specialists. They are waiting to make your move to Hennopspark as easy and hassle-free as possible. Units in phase 1 of the development will range in size and price from 270m² up to 1200m². Units can be developed to the tenant's specific requirements and size. Prospective tenants can contact Arnold Pretorius directly on 0822184867 and visit the website at https://www.apiproperty.co.za/results/new-development/commercial/centurion/hennopspark/9/ for additional information.